It’s been awhile since I visited Baguio. 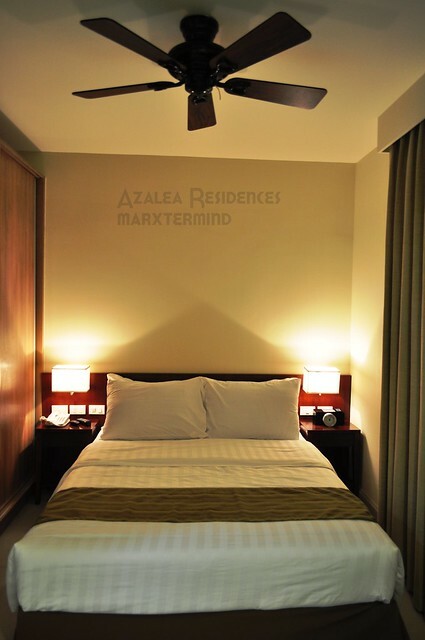 I’ve been to this place a lot of times but I never got the chance to stay on a posh hotel so when a friend invited us for a free stay in Azalea Residences, I immediately said yes. 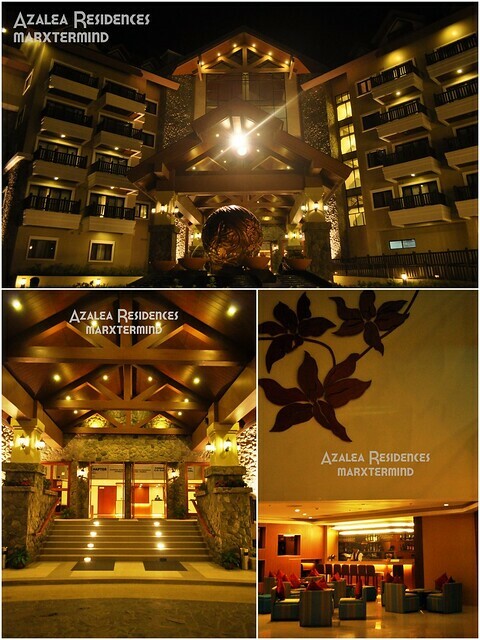 Azalea Residences is the newest addition to the chic and classy hotels in Baguio. It is located at Leonard Wood Road just across Teacher’s Camp in Baguio City. What I like about it was its proximity from the central district of Baguio. 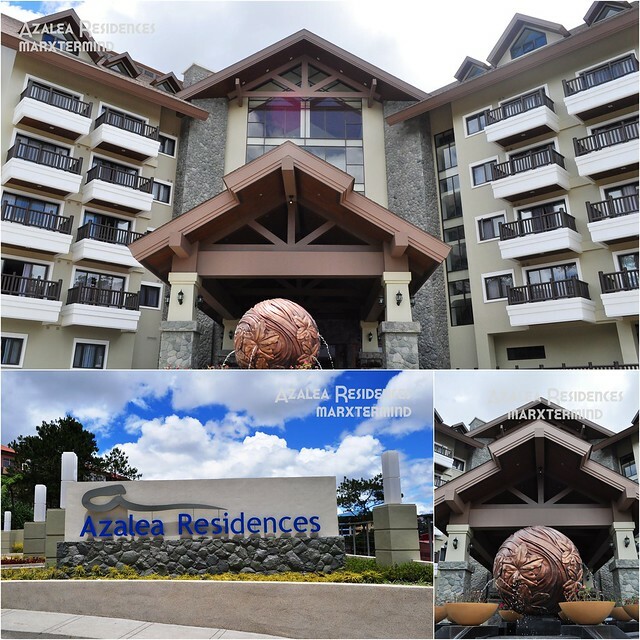 Giving you the favor to stay within the city but giving you the sense of away from the buzz and stress of the city, add to that the mountain breeze of Baguio. You can get to Session road in a just few minutes of walking or by cab. 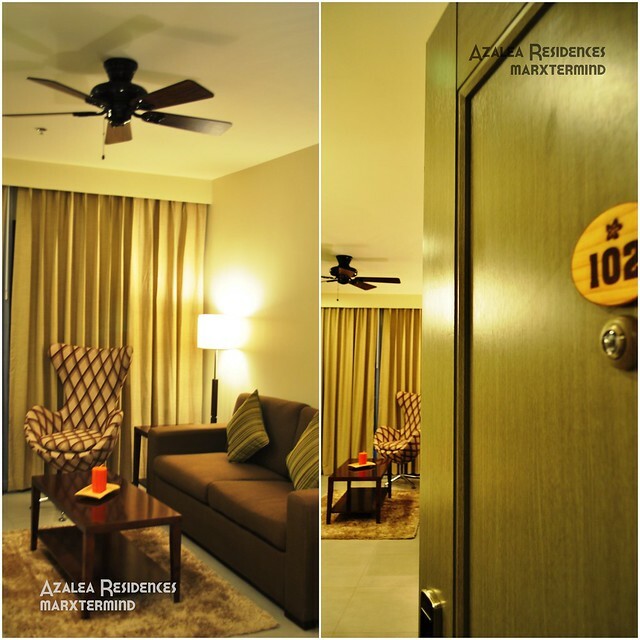 Rooms in Azalea Residences are all suite. 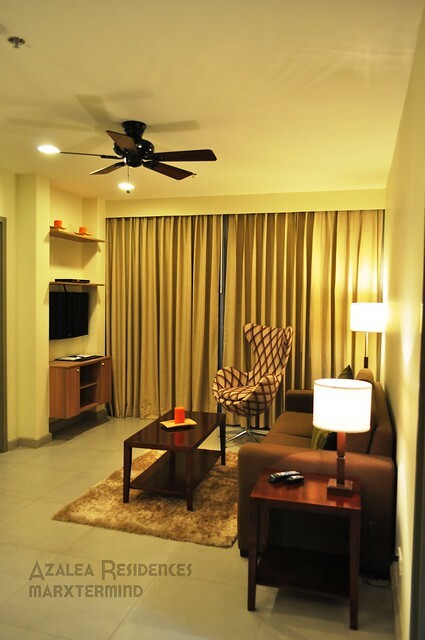 The living area alone made me just want to stay in our room, probably watch a TV show or borrow some DVDs from the reception area and watch it with friends. 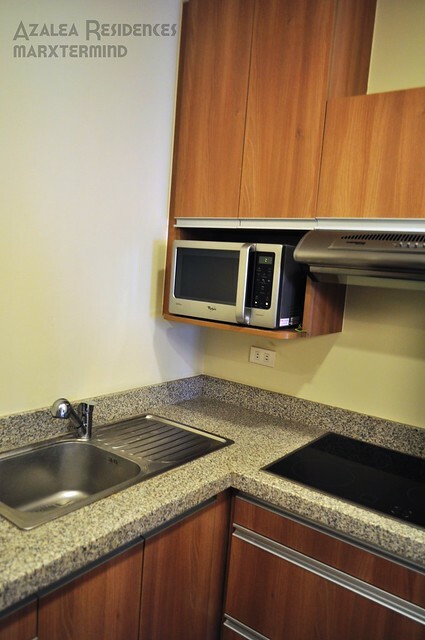 You may also cook your own food as all room comes with a kitchen area. This is good for family or friends who wants to cook meal and have a great dining experience just like home. 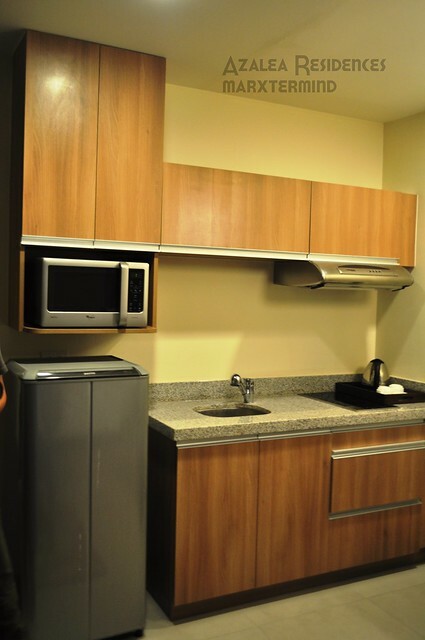 Rooms are in Deluxe type, 1 bedroom, 2 bedrooms and 3 bedrooms. 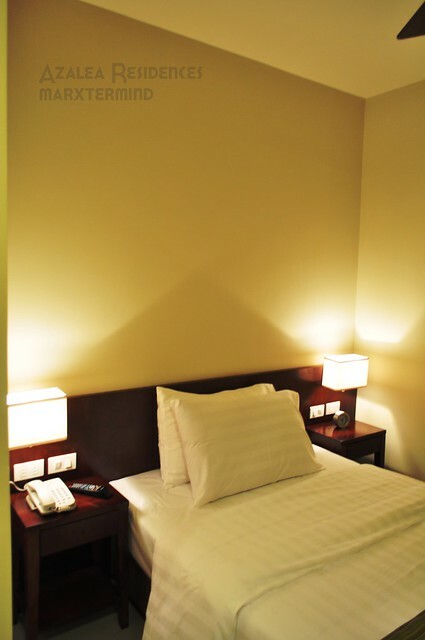 The bed in our room was so inviting, add to that the very cold weather. 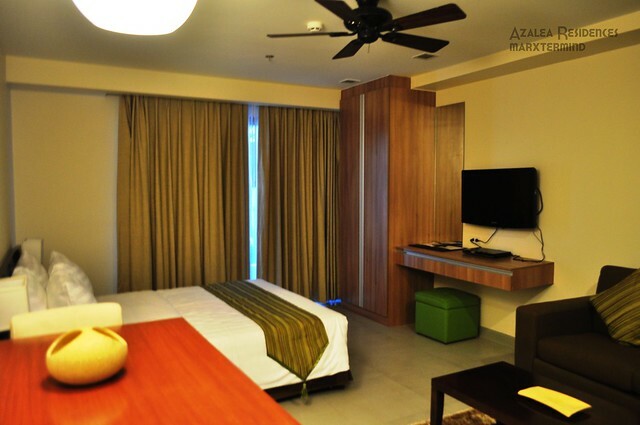 I just want to lay in one of the beds and just lazily stay in our room. I didn’t notice any air conditioning in our room but hey it was so cold inside, cool weather from nature it is. 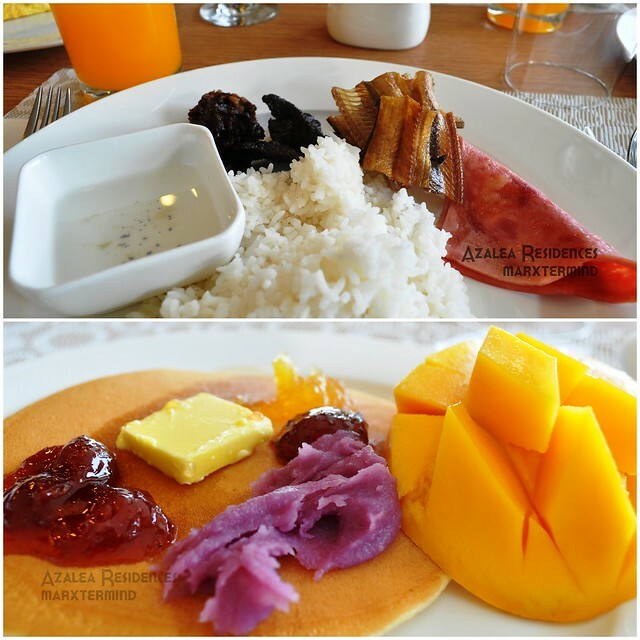 Forget about diet with Azalea Residences’ buffet breakfast offering from their resident restaurant, Tradisyon. I personally love the pancakes top it with different flavors. Also, I love their omelet. You can also have your lunch and dinner here. 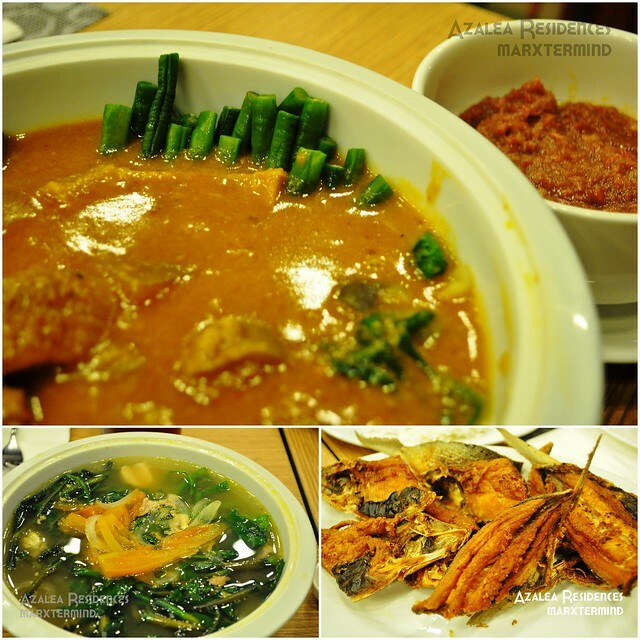 You may order ala carte as we had our dinner with famous Filipino dishes like Sinigang, Kare-Kare and fried milkfish. 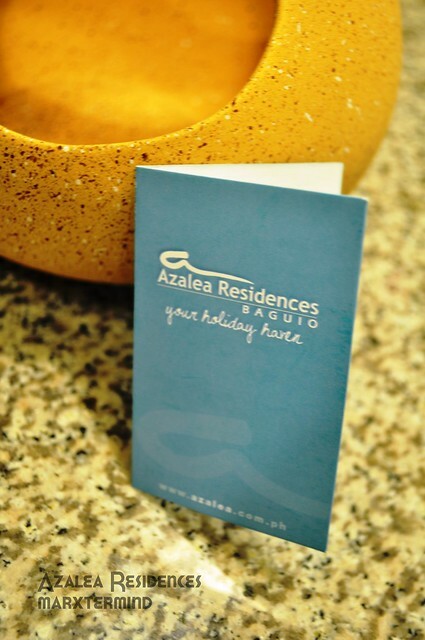 It was indeed a haven in Azalea Residences, add to that the friendly staff of the hotel. 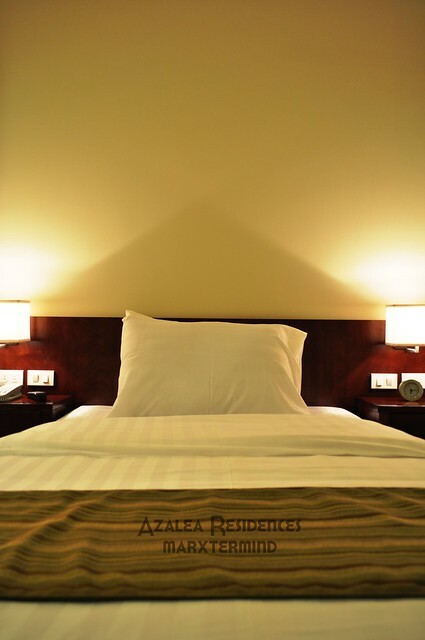 A great stay for a wonderful getaway. You can hire me if you want; I'll do it for free. Basta sama ako sa mga trip mo (it's not so "free" after all, lol). I'm from Baguio btw, so pwede ko pa kayo samahan pag nagawi kayo dito. Yes, Baguio people are this kind. hehe. 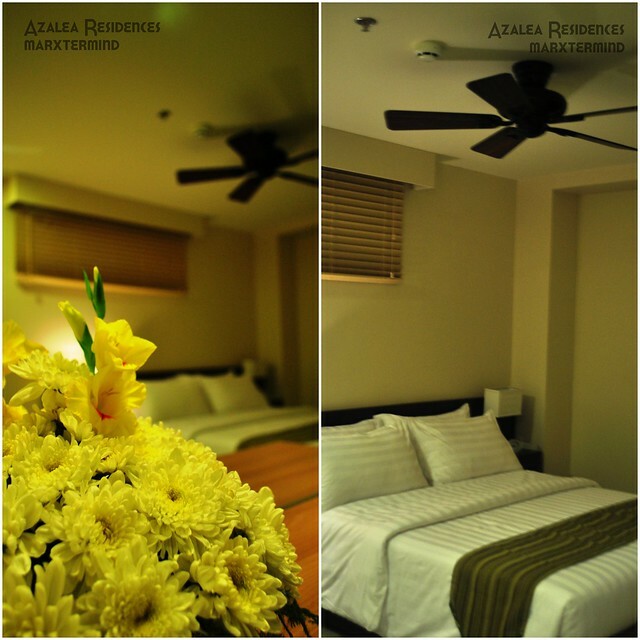 Ganda ng rooms at luxurious ang living rooms… looks like expensive accommodation. Before December gamitin na natin ang ating mga GCs. Bongga! Buti ka pa may mga invitations sa mga ganyan. Hahaha. Next time ikaw naman mang-invite :> HAHA. Anyway, alam mo na itineraries mo sa pagpunta mo dito?